Let's cut to the chase, if you haven't signed up for the 5th PubGuys NCAA Tournament Challenge, you should. It's a ton of fun, and you can win some great cash prizes. Read all the details here and send an email to trivia@pubguys.com if you'd like to join. 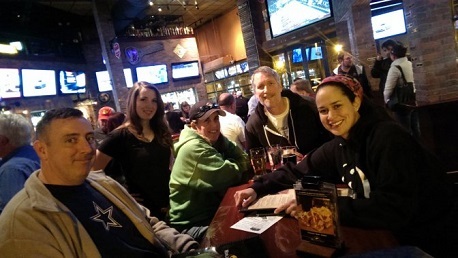 Also, we're smack dab in the middle of the PubGuys Trivia League, so all of these awesome trivia nights matter! Congratulations to our winners, the Mouseaholics on the clean sweep. Finishing in second place was Quiz in My Pants and PLCecretly Beliebers. For your Scavenger Hunt bonus, I'll make it easy since last week was pretty tough. Tell me the alma mater of the current studio head for the production company responsible for the highest grossing movie in the year that saw the NY Yankees sweep the Oakland Athletics to win the AL Pennant. Good luck!